Paydirt hosts professional invoices for your clients to view online at a private address. They can also print a copy or download a PDF. Online invoices are available whether or not you accept online payments. If you do, they also contain a button to make a payment. 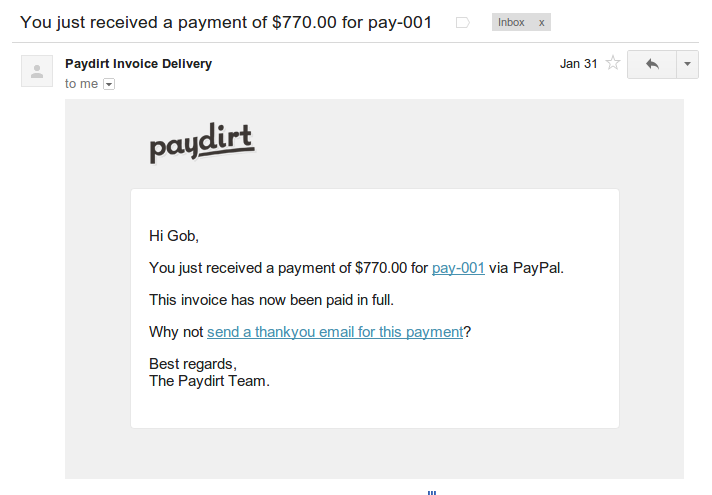 Learn more about sending your invoices via Paydirt. Paydirt supports online payments via Stripe and PayPal . 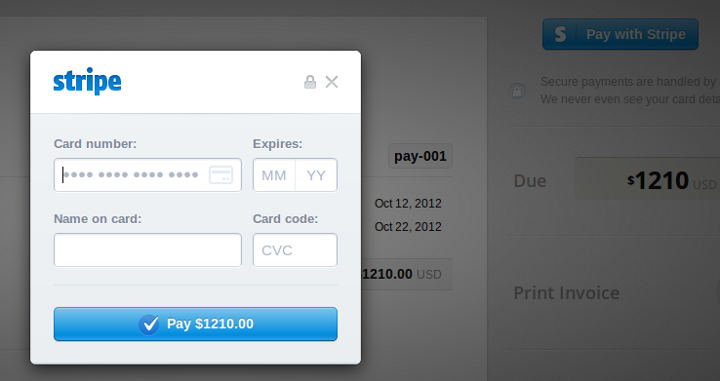 Enter your PayPal account email address in your Online Payments Settings to start accepting payments via PayPal. When your client views the invoice online at their private address, they will now have the option toPay Invoice with PayPal. 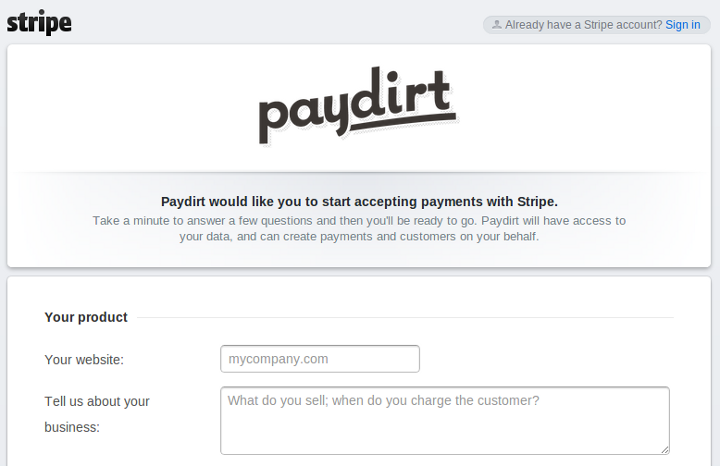 Paydirt will automatically log the payment for you as soon as it's made. You'll receive an email to let you know that your invoice has been paid. If you don't have a Stripe account yet, you'll be prompted to create one. It's pretty straight-forward, and creating an account is free. You'll be up and running in about 10 minutes. If you already have a Stripe account, just log in. 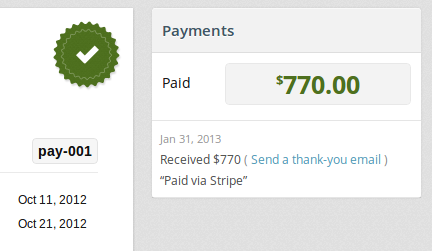 After you authorize access to your Stripe account, you'll be sent back to your Invoicing Settings. You're good to go! When your client views the invoice online at their private address, they will now have the option to pay by credit card with Stripe.